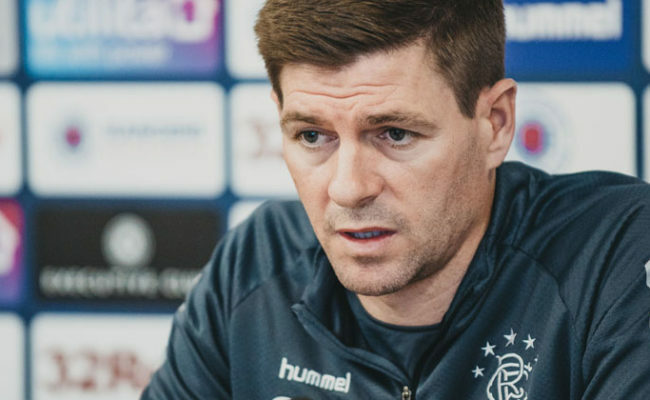 RANGERS got some important minutes under their belt ahead of the resumption of the Scottish Premiership on Wednesday night with a friendly win over HJK Helsinki. 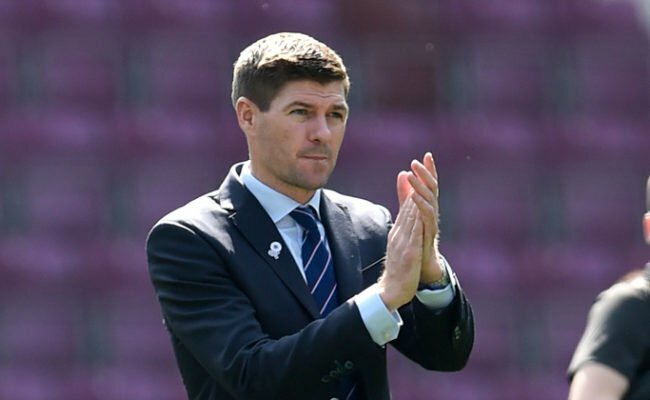 An impressive crowd of 21,224 rolled up at Ibrox to see goals from Scott Arfield, Nikola Katic and Daniel Candeias secure victory over the Finnish champions as Steven Gerrard’s side get set to return to competitive action away to Kilmarnock at Rugby Park in three days time. 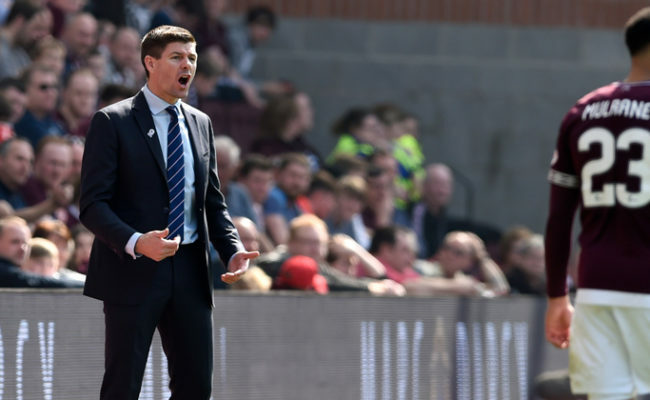 Rangers, with new signings Steven Davis and Jermaine Defoe in the starting XI, had control of the match in the early stages, taking time to play the ball about as they looked to shake off any rust following the winter shutdown. It was the visitors, however, who created the first real opening of the match. Picking the ball up in the middle of the park, Lassi Lappalainen did well to weave a path goalwards and brought out a decent stop from Wes Foderingham to deny him at his near post. Andy Halliday then came close with a decent effort from a free-kick 25-yards from goal, with the versatile man’s powerful effort going just over the top of the bar. Gers looked to be building up a bit of a head of steam, and that ended on 28 minutes with Scott Arfield grabbing the opening goal. After winning the ball in midfield, Alfredo Morelos charged forward and spotted the run of Arfield to his right. The ball from the Colombian was perfect into the path of the midfield man, and he applied the finish beyond Pelvas for the opening goal. Almost straight from the restart, however, Helsinki hit back. A ball from the left was flashed across goal and reached Kevin Kouassivi-Benissan around 15-yards out, unmarked at the back post to fire home beyond Foderingham. The Finns could then have grabbed the lead, with Eetu Vertainen spinning away from Joe Worrall on the edge of the box and bringing a fine save out of Foderingham. As half-time approached, a defence-splitting pass from Ryan Jack found Defoe to the right of goal around six-yards out, but his effort, aimed for the far corner, slipped just wide of the target. 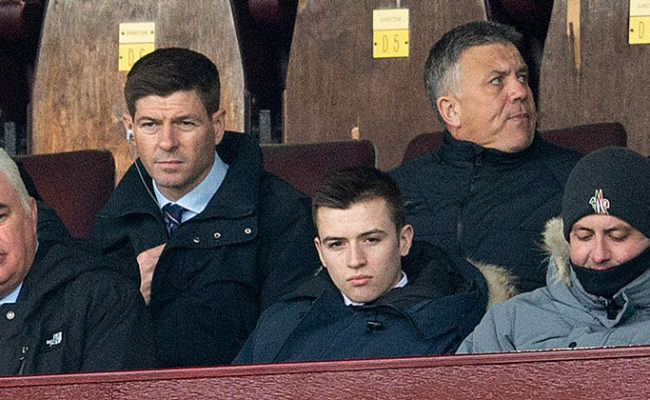 It was all change at the interval for Gers, with a brand new XI taking to the field, and that included a first Ibrox outing for young full-back Jordan Houston. Seven minutes was all it took for Gers to hit the front once again, with Croatian duo Borna Barisic and Nikola Katic combining. From the left, Barisic’s ball from a corner was tantalising and delivered right onto the edge of the six-yard box, and there to meet it was Katic with a bullet header beyond the reach of replacement keeper Maksim Rudakov. Again though, Rangers weren’t able to keep their lead for long as Helsinki levelled within two minutes of the restart. A long through ball reached Lassi Lappalainen, and he was able to get a shot away beyond sub keeper Robby McCrorie which found the back of the net off the base of the post. Glenn Middleton had an opportunity to put the home side back in front, picking up the ball in midfield and charging forward into the box before being crowded out. With 15 minutes left on the clock, however, Gers did find that third goal, and it came from Daniel Candeias, who by this point was wearing the captain’s armband. A poor kick-out from Rudakov was intercepted by the Portuguese, and he composed himself to finish well beyond the goalkeeper from the edge of the area. FIRST HALF XI: Foderingham; Tavernier, Worrall, Flanagan, Halliday; Jack, Davis, Arfield, Kent; Defoe, Morelos. SECOND HALF XI: Robby McCrorie, Houston, McAuley, Katic, Barisic, Candeias, Ross McCrorie, Coulibaly, Kelly (Palmer, 84), Lafferty, Middleton.